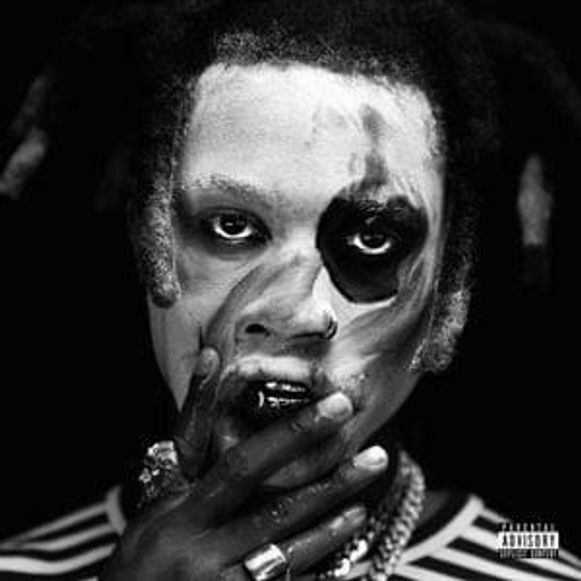 On TA13OO, Denzel Curry cuts a dark and distressing figure; but the result is a multi-concept, well-structured, layered piece of work; and it is absolutely enthralling. Denzel Curry is a 2016 XXL Freshman member who is, it has to be said, one of the more overlooked rappers from the past few years; displaying monster flows over huge trap-styled beats. He is becoming a cult figure in the underground scene but has had his fair share of commercial success; namely his 2016 smash hit Ultimate. Following that success came his debut album Imperial which was very well critically received and announced Curry as one of hip hop’s brightest up-and-comers. Since then he kept relatively quiet and was working on his follow-up album; and here it is. Split into three EP’s released over three separate consecutive days before combining into a whole album, build-up has looked great; but does TA13OO live up to expectations? To put it simply, yes. It goes above and beyond what I could possibly have imagined it being. Denzel Curry shows character and energy beyond what I assumed to be his initial realms of capability on this album. The triple EP combo works an absolute treat, showing tales of “Light”, “Gray” & “Dark” (the three EP titles) in a bittersweet, bordering on animalistic fashion. 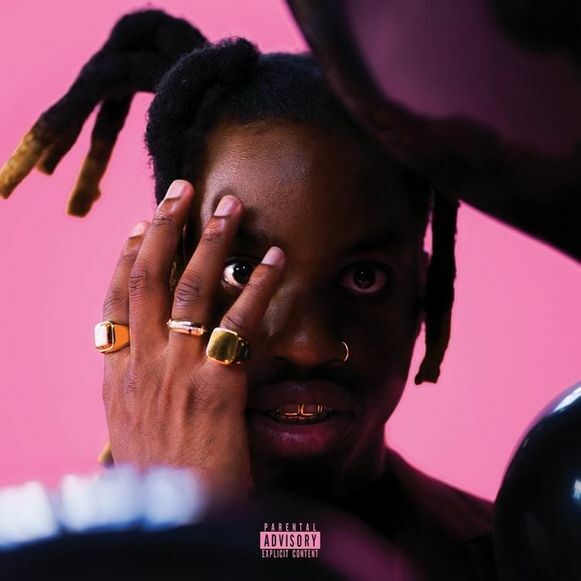 The first three songs, the “Light” EP, offers glitzy and attractive production with softer vocal melodies and smoother hooks; something which really took me by surprise on first listen given how I know Denzel Curry and his musical style. We are introduced to the album with the title track TABOO, which tells the story of a girl who Denzel is infatuated by, acknowledging her horrific past of being molested as a child and Denzel trying to help her feel secure. Following that is BLACK BALLOONS with Twelve’len and GoldLink, the latter of which dominates this beautiful hit with a snappy verse typical of GoldLink’s abilities. The hook is insanely catchy and melodic and could well be the best of Denzel’s career thus far. Finally there is CASH MANIAC and man is this an anthem or what? Curry’s bars are cold and the beat is joyous and infectious, surely the whole album wouldn’t be this upbeat? The last song of the Light EP is SUMO, a song that hits you like a freight train. The beat is ridiculously distorted and has devilish keys in the background of the instrumental. It is the kind of song Denzel excels on and he does just that here, of course. It sets up the next concept impeccably as he screeches and grinds his vocal delivery like a supervillain. The next five songs, the “Gray” EP, follow suit of SUMO in terms of energy in the beats, but the subject matter turns rather different; looking more at current life evaluation and how things aren’t all they seem when you find fame. First up is SUPER SAYAN SUPERMAN which is not only an immense song title, but it is also proof of how brilliant a flow doctor Curry can be. Short and to the point, he says all he needs to say and does it with authority, before switching up with, funny enough, SWITCH IT UP. Another top draw hook comes here and as for the verses; well, they speak for themselves. He chops his flows so elegantly and despite sounding like Ski Mask The Slump God on the odd occasion, he puts an evil persona on the song. MAD I GOT IT offers a more moody and atmospheric sound than the previous ones on this part, perhaps to highlight the crash in emotion from Light to Gray. It addresses the fake friends he has picked up along the way, saying that the money is a blessing and a curse when you make it big. Then we have two of the strongest songs on the whole album; SIRENS with Billie Eilish and J.I.D, and lead single from the album CLOUT COBAIN. Let me speak to you about SIRENS for a second, wow. From the very first to the very last moment this song is a mystical, devious masterpiece. Billie Eilish offers a gorgeous backing melody onto a seriously stellar Denzel hook, setting the tone for a deeply passionate and political attack on America’s current state. Denzel tells us that the sirens are symbolic of America’s justice system as well as the myth of people power in political avenues. J.I.D comes in and blows me away with a verse Kendrick Lamar would be proud of, I was adamant I had just heard the verse of the year. Then Denzel Curry started again and Jesus wept, his second verse is the most poignant I have heard in a very long time. Comparing Donald Trump to Donald Duck is hilarious while comparing Genocide and Genesis is terrifyingly true to modern society. We got a woke gentleman here, folks. CLOUT COBAIN is outrageously catchy as well as important, suggesting that the song is aimed at two separate types of people. Firstly, there is those who struggle emotionally and ponder suicide while just trying their best to get through life. Secondly, we have the people who almost want the first people to do it in order to gain as much ‘clout’ as possible, calling out the hypocrisy and destructiveness of chasing fame. It is intense in content and hype as it gets when listening, that two song run alone is one of the best I have ever heard on an album. Wait, you thought that was dark? Oh no, THIS is Act 3: Dark. Starting with THE BLACKEST BALLOON, Denzel discusses his family issues, namely his brother’s death when he was tased to death by police in 2014. He has accepted that he will never forget the events and still admits to hearing his brother’s voice in his head screaming for help, sounding like something from a “horror movie” as the hook suggests. The beat slaps and the song is catchy but the important thing with this song is the demons Denzel addresses with it. Next is PERCS which is the album’s second single and is a direct address at the current rap game. He terrorises the commercial rap scene and criticises their sound and lifestyle, providing an anti-drug message that is very important in today’s society. The line about going to jail to get more clout on his name is incredible; in fact, the whole damn song is. I wasn’t truly ready for what was next. When I saw the tracklist I had a feeling a track with a title like VENGEANCE would go off, but when I saw it had JPEGMAFIA on it, I was certain it would be a favourite of mine. It takes a dive inside the minds of both Denzel and JPEGMAFIA as they address violent thoughts such as robbery, murder and kidnapping. The beat is wild and the pair flow like a pair of absolute demons, the whole atmosphere of this song is evil and I absolutely adore it. Special mention for Peggy’s double diss in the same line, poking fun at Drake and Tekashi 6ix 9ine in one bar, incredible. Last but not least we have BLACK METAL TERRORIST where Curry adopts his moniker of “Zel” where he pumps himself up for a rap style which is similar to that of his breakout hit Ultimate. The hook oozes attitude and well, he says “finish ’em Zel” in there and he truly does with those explosive hooks. What a way to end an album. A spectacle. That would be the best way for me to describe this album. If Imperial was a sign of promise, then TA13OO was proof that Denzel Curry is the finished article, truly announcing himself as one of the most innovative rappers of our time. The concepts on this album are not for the feint-hearted, but if you can appreciate his struggle and emotionally disjointed sides, you will see for yourself how incredible of a project this is. Easily my rap album of the year so far, it has sent shockwaves through my musical spectrum and I am sure it did the same to so many others. 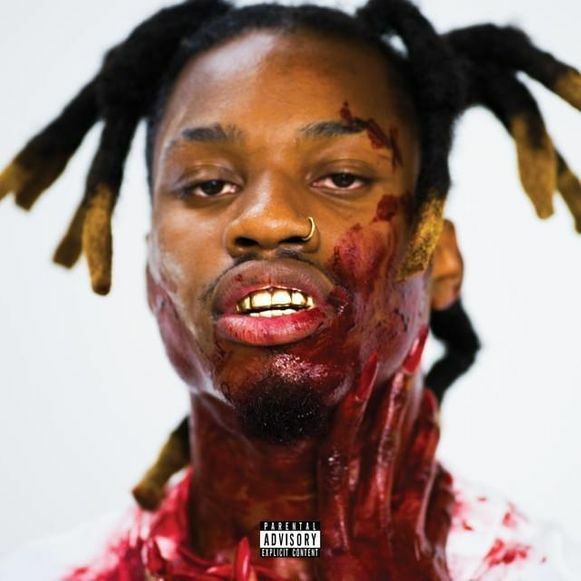 Denzel Curry has well and truly broke the TA13OO with this one.